This brief explores two of the main challenges of spatial network data analysis: the many connected components in the spatial network and the many candidates that have to be processed. Within this book, these challenges are conceptualized, well-defined problems are explored, and critical techniques are discussed. 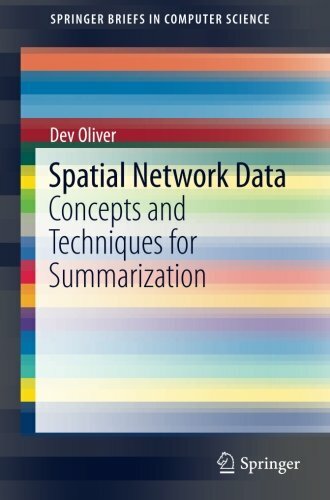 The process of summarizing spatial network data entails finding a compact description or representation of observations or activities on large spatial or spatiotemporal networks. However, summarizing spatial network data can be computationally challenging for various reasons, depending on the domain. The content has applications for professionals, organizations, and researchers in transportation safety, public safety, public health, disaster response, and related fields. About: This brief explores two of the main challenges of spatial network data analysis: the many connected components in the spatial network and the many candidates that have to be processed.